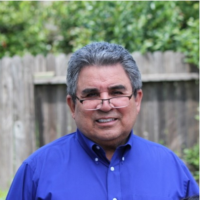 Based on results posted on the afternoon of Friday, November 18, Orlando Fuentes won the third open seat on the Cosumnes Community Services District Board of Directors. The results from the Sacramento County Board of Elections show Fuentes defeated two-term incumbent Michelle Orrock by 19,007 to 17,864 votes. Based on those results and the continuing trend, the Elk Grove Citizen declared Fuentes the winner. In addition to being edged out for the third seat on the CCSD Board of Directors by Fuentes, Orrock also succumbed to another non-incumbent, retired firefighter James Luttell, who came in second place winning 19,675 votes. Incumbent Gil Albiani came in first place with 28,665 votes. Among six incumbents on the Elk Grove City Council, Elk Grove Unified School District, and the CCSD, Orrock is the only one not being returned to office. Elk Grove City Councilmen Steve Detrick and Steve Detrick, and Elk Grove Unified School Board of Trustees Nancy Chaires Espinoza and Carmine Forcina, as well as Albiani, easily won their respective reelection bids. Fuentes did not respond to an email request regarding his apparent victory. In earning his victory, Funtes raised $3,700, of which $3,000 was a personal loan to his campaign while Orrock raised $13,000.